FLAME ON! 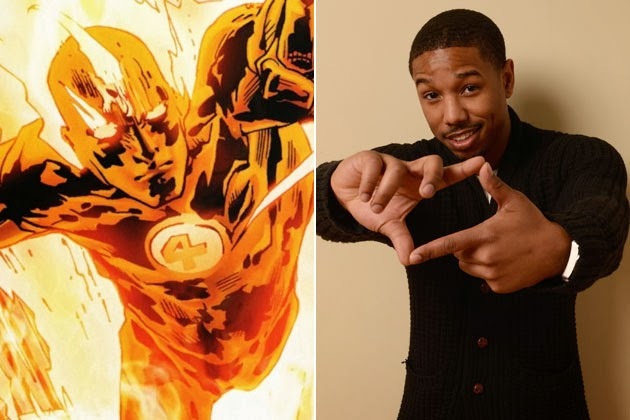 : It's official: Michael B. Jordan will be The Human Torch! Perhaps never has their been a greater geek debate with such real world consequences than the controversy that struck the blogosphere when rising star Michael B. Jordan was announced to play Johnny Storm, AKA The Human Torch, in Josh Trank’s Fantastic Four reboot out June 19th, 2015. The issue polarized news sites, critics, and comic book fans across the globe. In the comic book camp you had those that wondered how could Fox change the race of such a beloved character on a whim while in the critical community as well as the news media, reporters and critics wondered how and why comic books fans could be so racist and ignorant. Although BBQ17 and I have discussed this issue numerous time on the Confirmed Epic Podcast, I believe it’s time we officially set the record straight on just why comic book fans may not be so narrowed minded after all when it comes to this issue. Find out why after the break…. Before we proceed let me say that I believe Michael B. Jordan is fantastic actor and one day will be just as much of household name as Denzel Washington or Tom Hanks. 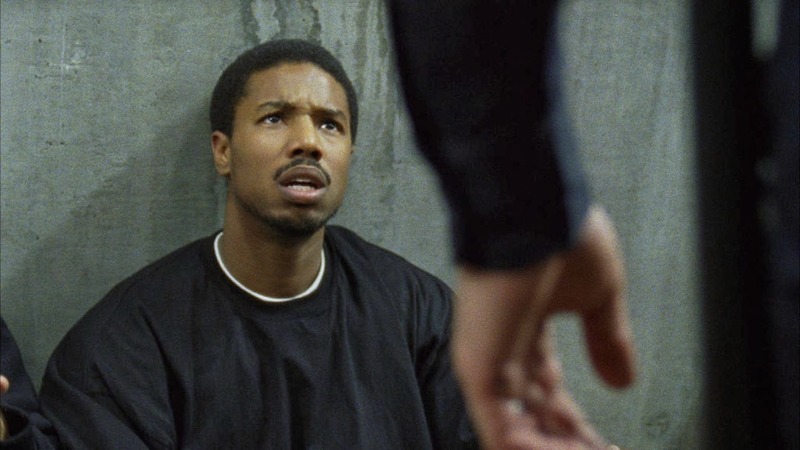 As seen in our top ten films of last year, we thought very highly of his 2013 film Fruitvale Station, which in our opinion got snubbed at this year’s Academy Awards. So the proceeding commentary has nothing to do with the amazing talent of Michael B. Jordan, but everything to do with the racial misconception of the modern comic book fan. 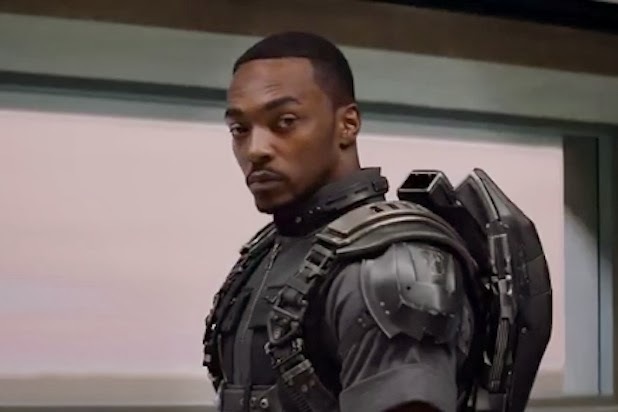 Look for Anthony Mackie to soar as The Falcon in Captain America: The Winter Soldier April 4th! The problem with casting Michael B. Jordan to play the Human Torch isn’t one of a black actor playing a traditionally white character; it’s the subtle message that goes along with that casting, which is to admit that major studios would rather change the race of a particular white character than betting on a traditionally black character to carry their own film or franchise. 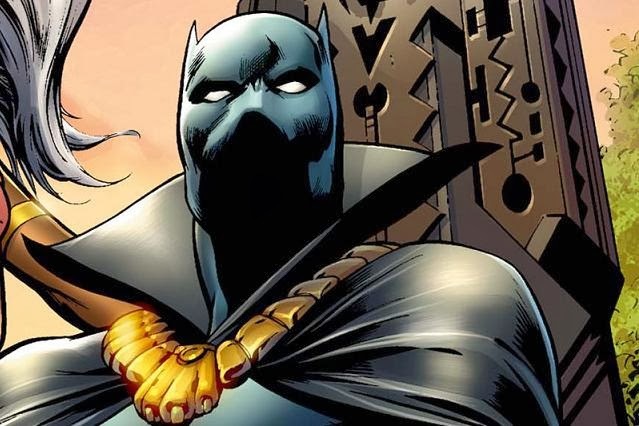 The fact of the matter remains that there exists a rich catalog of minority characters in both the Marvel and DC universes that have yet to be given the proper Hollywood treatment: Black Panther of Marvel and Cyborg of DC are two prominent ones that come to mind. 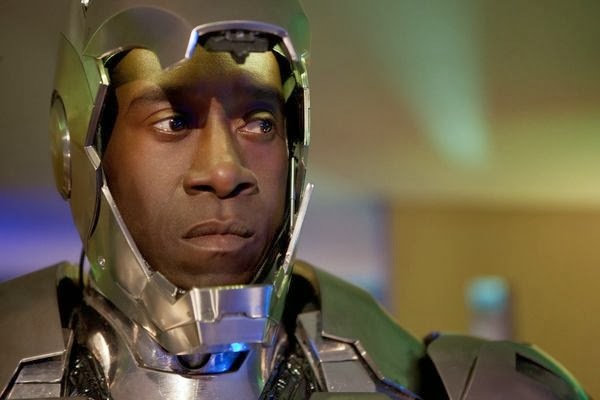 Just recently have the likes of Falcon (played by Anthony Mackie) and War Machine (played by Don Cheadle and Terrence Howard) been given decent screen time in supporting roles, with no rumored plans from Marvel Studios for either to receive their own film. The bottom line is that if you asked any comic reader how they would feel about Leo Dicaprio hypothetically being cast as Black Panther or Tom Cruise hypothetically being cast as War Machine, they would be distraught. Not over the actor choices, but because to comic book fan many aspects of the character remain sacred and can vary depending on race. Right or wrong, race is a very important factor in our society and in our personal coming of age stories. A black man from Queens didn’t have the same upbringing as a white man from NC. Each life experience those two particular people went through had a different impact on the person they are now and yes, several of those life experiences were based on race. Take for example the current Ultimate Comics Spiderman, Miles Morale; half black, half Hispanic. 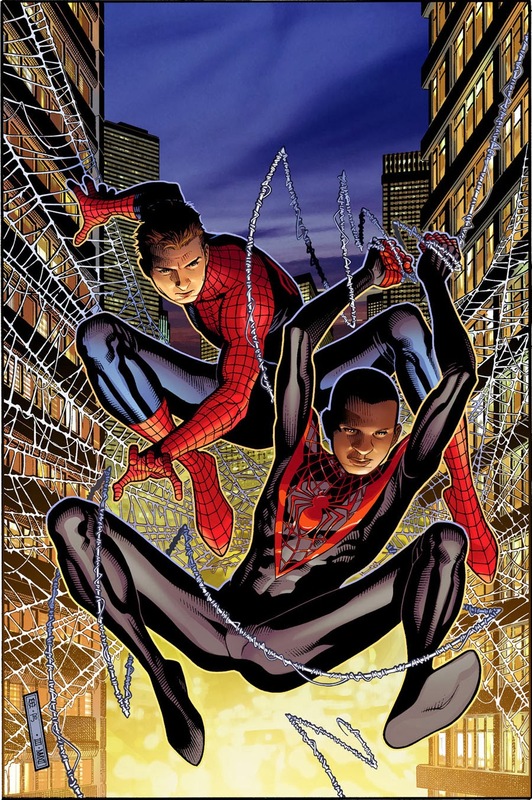 The type of Spiderman he is happens to be very different from that of Peter Parker, because the upbringing of a white kid in Queens is very different than that of a half black/ half Hispanic one. Each of the character’s unique backgrounds made them a different hero inside of the suit, backgrounds at least somewhat forged in race. Neither version of Spiderman is superior to the other, however taking a character's race out of the equation does have an impact. Let’s say for arguments sake that Sony decides to one-day make an Ultimate Spiderman film, and a white actor is cast as Miles Morales. 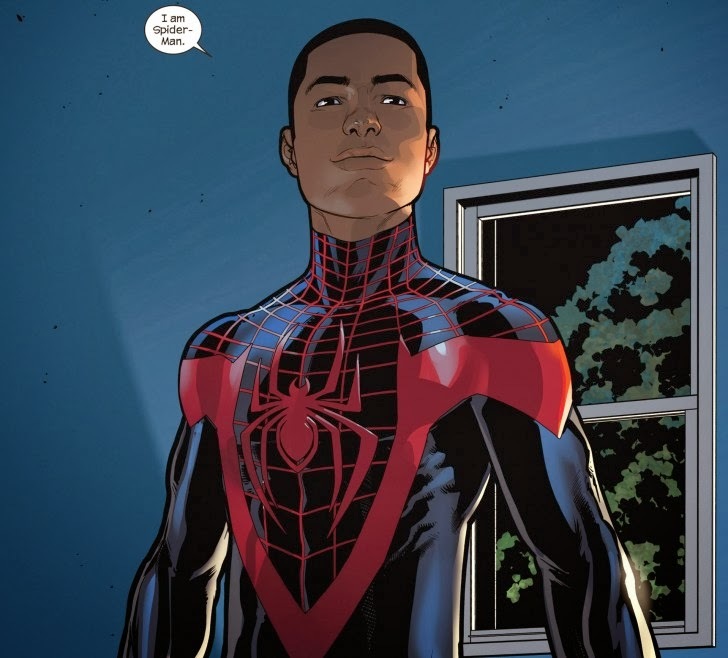 I for one, like many comic book readers, would be outraged, because the background that makes Miles whom he is has a lot to do with both his black and Hispanic heritage. Having a white person play the part would compromise the integrity of the character, not giving films audiences the true version of the epic character comic book readers know that Miles Morales is. So when people ask me if I am excited to see Michael B. Jordan play the Human Torch? The answer is yes; I am excited to see Jordan, who I consider one the best actors alive take on any role. However I am not just excited because he is a black person playing a traditionally white character. Rather I am sad by the fact that Hollywood refuses to take the risk on minority superheroes that comic book publishers do. I will close with a recent example of just how open-minded comic book fans are when it comes to the issue of race. Recently, Marvel took some what of a risk passing the torch of Ms. Marvel to a Muslim Girl: Kamala Khan. Not once did you hear any public outrage over Mrs. Marvel being a Pakistani American Muslim like maybe you did over Michael B. Jordan playing The Human Torch. 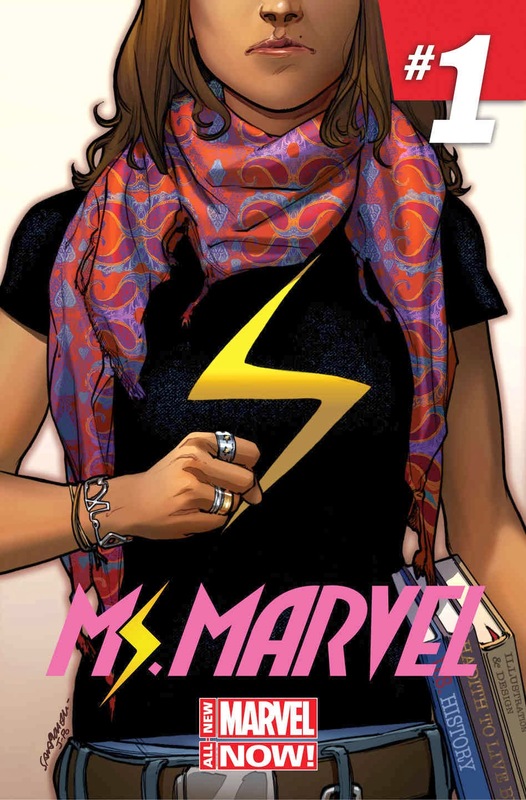 Rather, comic book readers embraced the new Ms. Marvel with chart topping sales. The reason this worked: Marvel didn’t make the original Ms. Marvel, Carol Danvers, Muslim rather they chose to introduce a brand new minority character that will live forever in the Marvel mythos. So next time you choose to quickly label a comic book reader ignorant or eccentric based on issues such as race, just remember who is shelling out hard earned money to support the characters they love regardless of those characters: race, religion, or sexual orientation, and the studios who refuse to take a risk on them! Keep an eye out for part two where we'll discuss bringing about further diversity in comic books, how race, gender, ethnicity, and sexual orientation shape fictional characters (and readers), and times when character swaps can work (and other times when they don't).  Please join us in this discussion as we discuss a topic that's nerdy but also extremely important by leaving us a comment below or sending an email to ThEpicReview at gmail.com! With me it's more of i don't like it when major characters i grew up with are changed i know in some cases it can work like in the Ultimates but in some cases i don't think it does at lest for me. Am more of a traditional sort of guy that wants he heroes...and villains to remain the same. This nailed it for me. This is not about race at all for me, it's changing things for no reason. It's Thor not wearing a helmet, it's Cap's comic costume being turned into a joke. It's freaking Hawkeye not wearing a mask. DC changes things to but they have an emotional investment. I cared about Superman in MOS, so it was okay that his suit was "off". Iron Man 3 was, in my opinion, a prime example of what's wrong with the Marvel films. It was funny. Too funny. Then they made one of the greatest comic villains into a joke character. Marvel makes fun movies, but they lack an emotional attachment and that makes the changes harder to swallow for me.